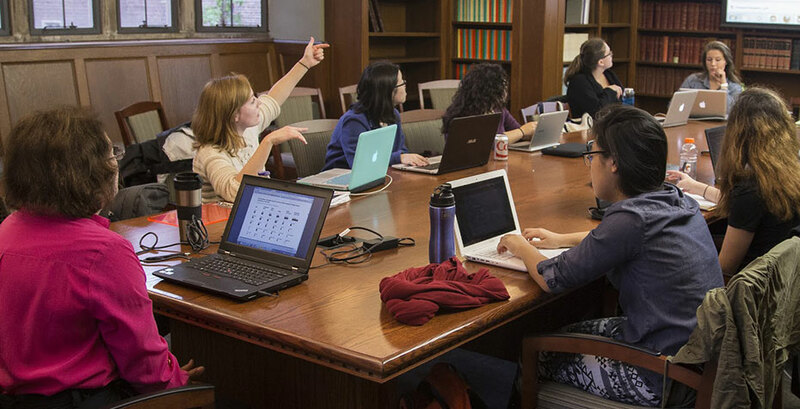 Innovative class structures, dynamic instruction, and cross-disciplinary approaches are just some of the features of the Wellesley courses we have spotlighted. Last semester, Kimberly Cassibry’s students created a website related to the Davis exhibition Reframing the Past: Piranesi’s Vedute di Roma. Now students of her colleague Liza Oliver are expanding the site. Mala Radhakrishnan, associate professor of chemistry, uses elements of creative writing to help students understand complex concepts in physical chemistry. An essay she wrote about her approach was recently published in Chemical & Engineering News. In a new course for first-years, professors Connie Bauman and Jeannine Johnson help students improve their writing and learn about the relationship between exercise, academic performance, and overall well-being. 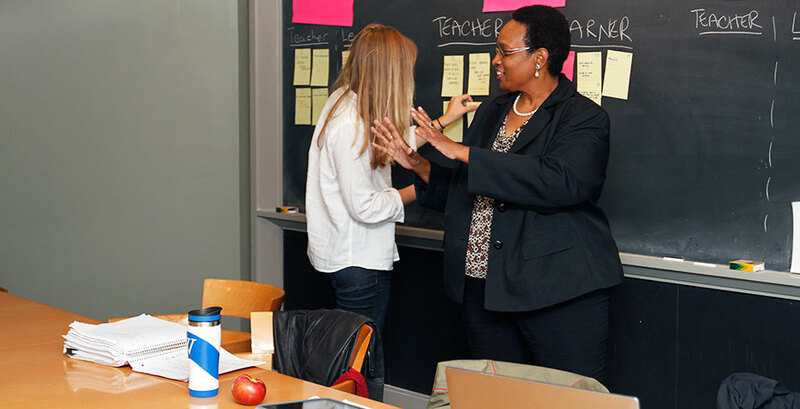 Wellesley professors “talk shop” about how they use video to expand their classrooms and engage students. 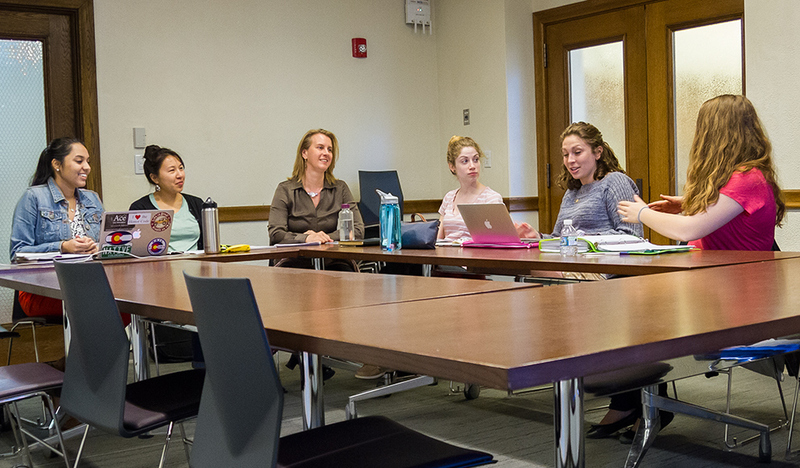 In the new ecology course taught by Jaclyn Hatala Matthes, students are trying to determine what role humans play in managing ecosystems and how Wellesley’s campus ecosystem can be sustainably managed. 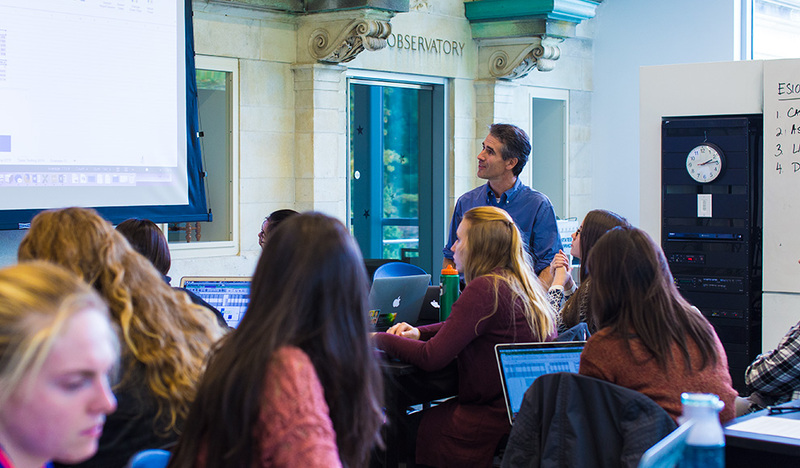 In team-taught courses, such as MUS 333/ARTH 335 with Professors Martin Brody, Patricia Berman, and Alice Friedman, faculty and students explore different disciplines from varying points of view. In ASTR 202: Hands-on Planetary Exploration, students learn about the science and technology of exploring planetary environments and design and execute their own mission. 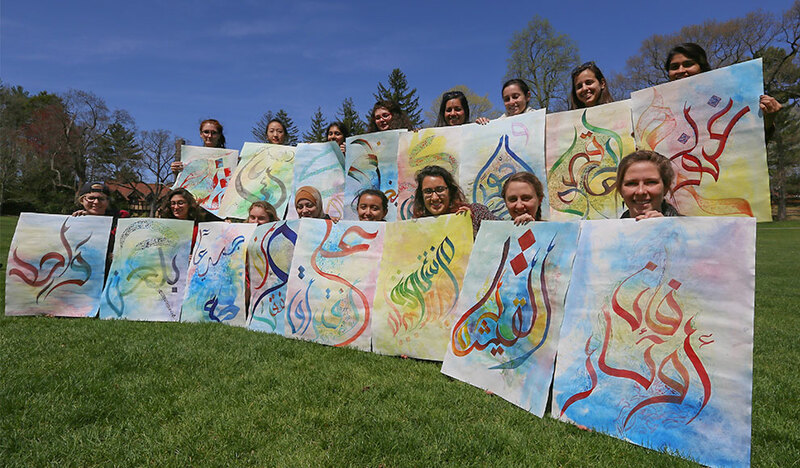 This past semester, students worked with Khaled Al- Saa’i, an internationally renowned Arabic calligrapher who challenges how people see and use familiar script. Visits to campus and classrooms from the United States ambassador to Portugal and from the ambassador of France to the United States gave students a better sense of the global context of their courses. 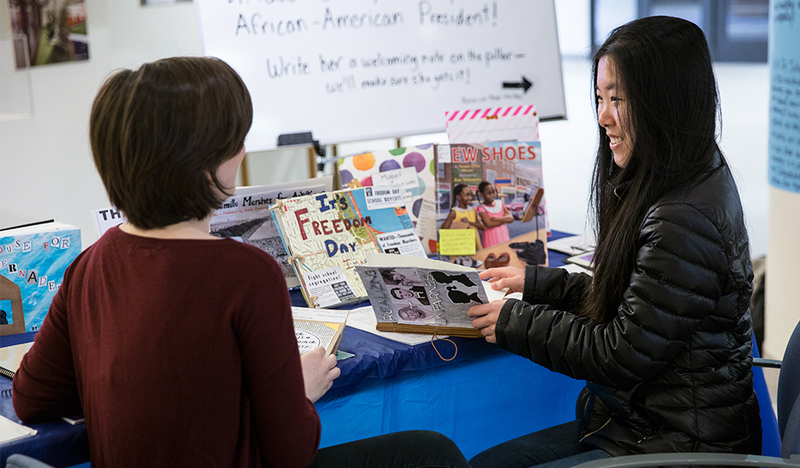 Students in Professor Brenna Greer's HIST 252 The Modern Black Freedom Struggle created children's books exploring nontraditional narratives from the Civil Rights era. 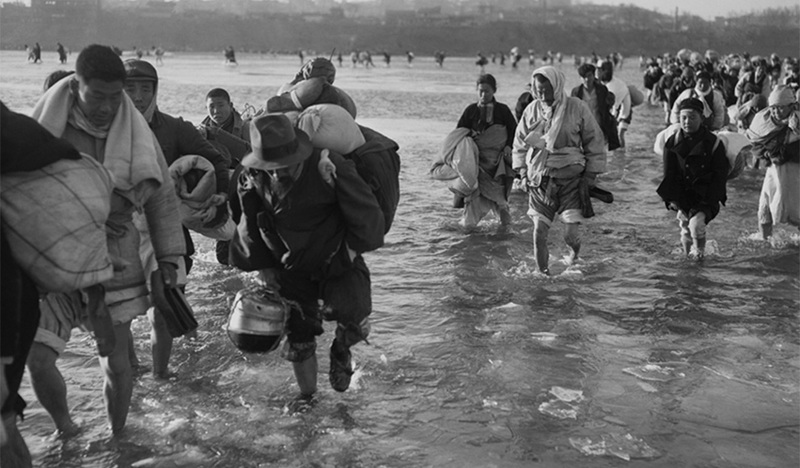 A collection of interviews conducted by students will be featured in an exhibit called Stories from the Forgotten War: Korean War Oral History. 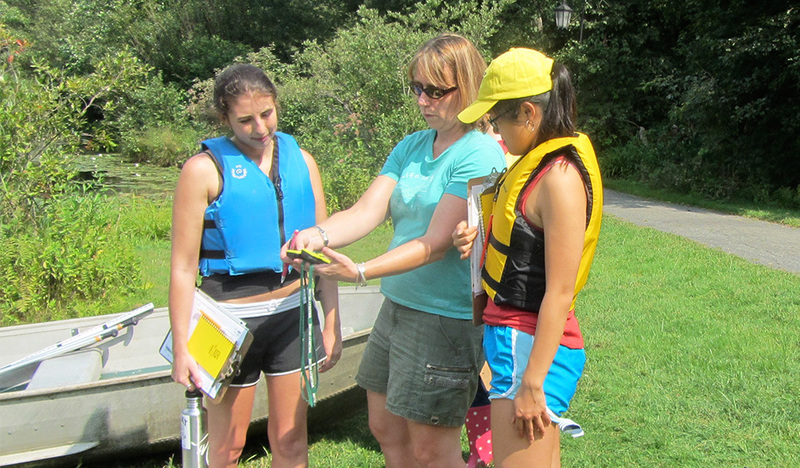 An interdisciplinary environmental studies course combines online learning and cross-campus collaboration between students at Wellesley and Davidson colleges. Students in GEOS 101 are exploring sedimentation rates in Paramecium Pond and the Silver Thread as part of a semester-long project using these sites as living laboratories. In her class Migration, Heritage, Identity: Eastern Europe and Latin America, Evelina Gužauskytė invites students to consider how Latin America and Eastern Europe have influenced one another’s literary and cultural expression. 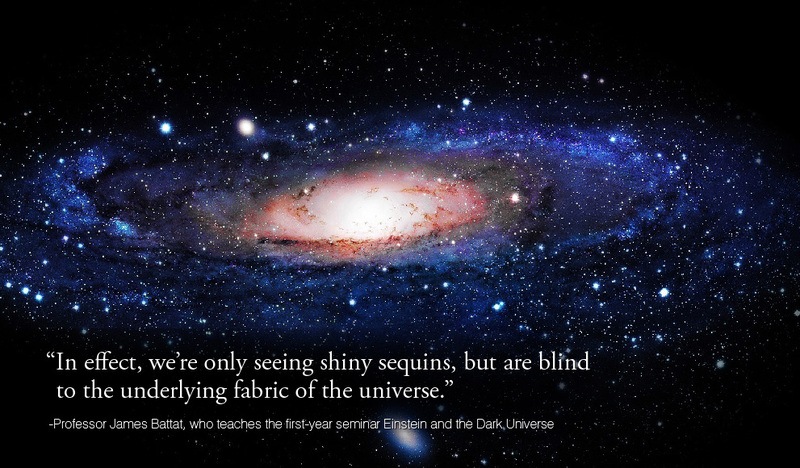 In Physics 100 Einstein and the Dark Universe, first-year students explore the astrophysical evidence that reveals the presence of dark matter and dark energy. 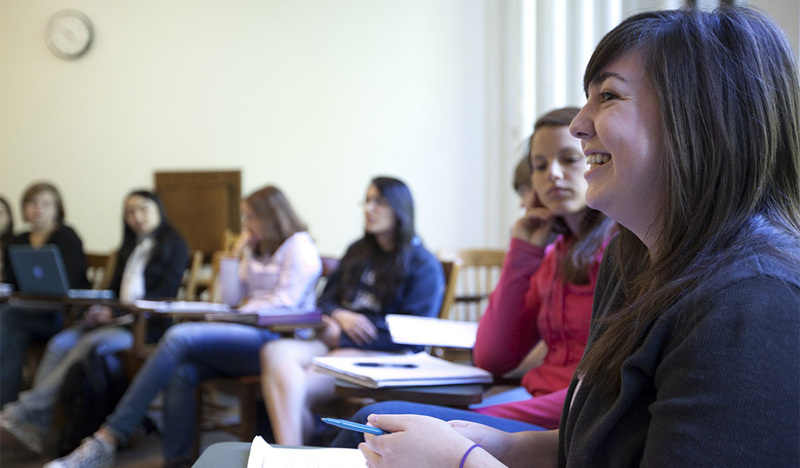 Students take funny women seriously in a new Theatre studies course examining the role played by comedic pioneers in shaping American culture over the last century. Amy Banzaert's introductory engineering laboratory course involves students in every level of product development. 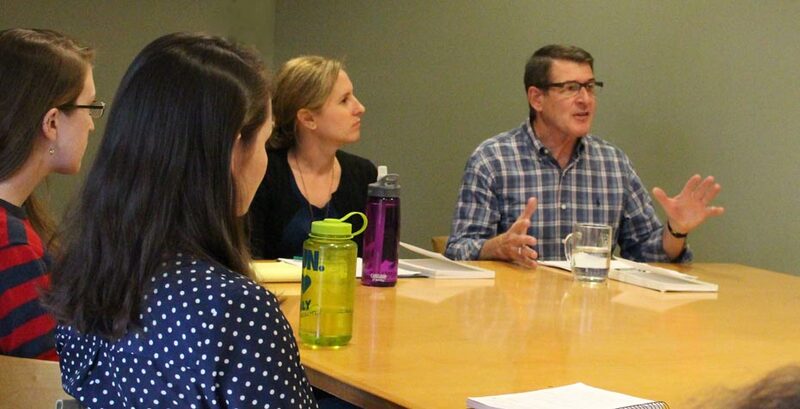 Professor Jay Turner's first-year seminar explores questions of food from an interdisciplinary and a (tasty) hands-on perspective. How Grimm is Disney? 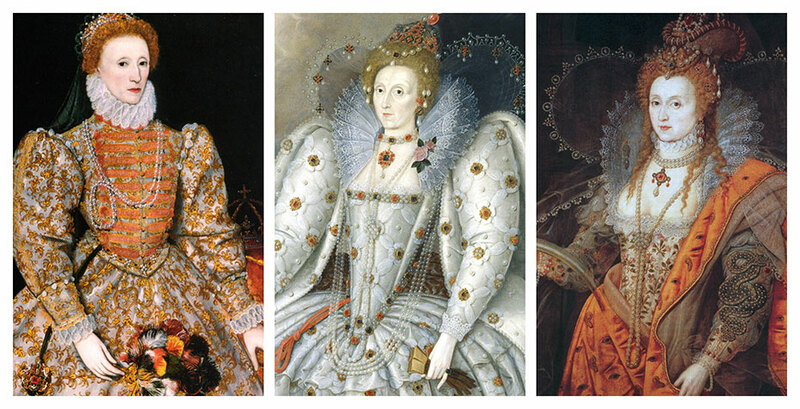 Students examine similar questions in the study of German fairy tales with Anjeana Hans. An unusual offering: a P.E. class with Connie Bauman that won't meet your P.E. requirement—but will earn you academic credit! Troubled dreams in perilous times: A French take on the dark side of the 20th century. In this hyper-active lab with Senior Lecturer in Italian Studies Flavia Laviosa, Italian acquires a physical form and becomes a living experience. A delicious mixture of humanities and botany in one first-year seminar taught by Director of the Botanic Gardens and Assistant Professor of Biological Sciences Kristina Jones and Professor of Art Jackie Musacchio. Hip-hop is alive and well at Wellesley, and Assistant Professor Michael Jeffries plays it loud and proud in the American Studies department! How will people interact with computers in the future? Will the keyboard and the mouse become relics of the past? Luce Assistant Professor of Computer Science Orit Shaer and students investigate.